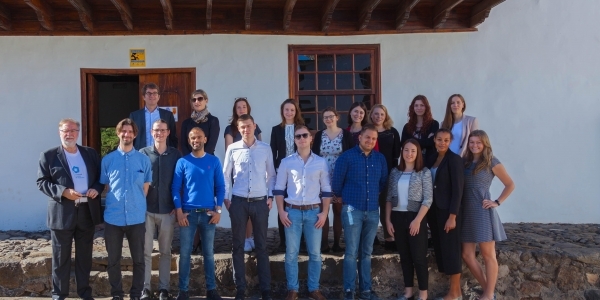 On invitation of Humboldt Cosmos Multiversity, a group of 17 students of a Business Master course of Kempten University of Applied Sciences and two of their professors visited Tenerife in early December 2017. 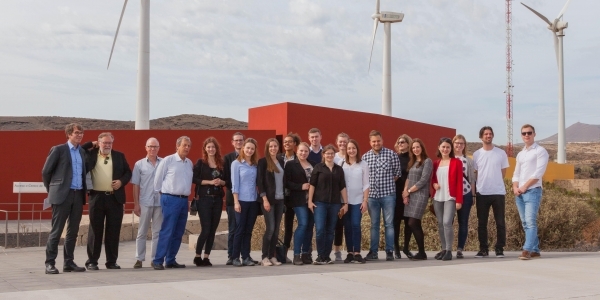 During yheir stay in the Canary Islands, they visited some of Tenerife’s most prominent institutions in charge of the island’s economic developement, such as the Instituto Teconológico y de Energías Renovables (Technology & Renewable Energies Institute, ITER, for its acronym in Spanish), the University of La Laguna (ULL), the Sociedad Canaria de Fomento Económico (Canary Islands Society for Economic Promotion, Proexca), Zona Especial Canaria (Canary Islands Special Zone, ZEC), Canary Islands Regional Government (GOBCAN), Port Authority of Santa Cruz de Tenerife and InTech Tenerife (Tenerife’s Science and Technology Park). At these institutions, they attended to a variety of lectures, as well in addition, they had the opportunity to collect valuable information which were exploited in the course of one day workshop resuming in a presentation event celebrated at Humboldt Cosmos Multiversity’s convention center, La Casona, at the end of their journey. To finalise their excursion, last day of their trip was devoted for the said working sessions organised in three paralel groups, which discused three thematic domains: Digitalization, Renewable Energies and Electromobility. 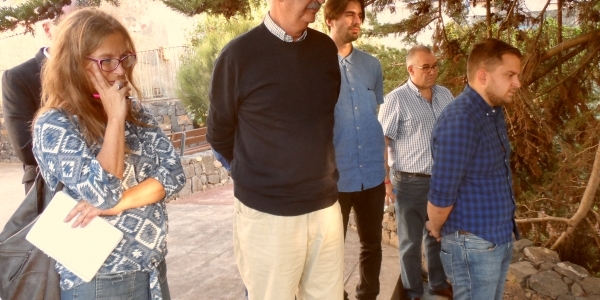 All three working groups came up with business model suggestions which reflected both the potential and the possibilities offered by Tenerife, also with perspectives towards Africa (e.g., Canary Islands as a business jumpboard to West Africa). 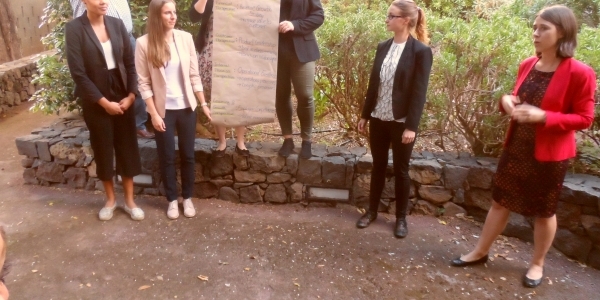 The conclusive presentations were given to a group of senior experts from Tenerife, which expressed their surprise about the high quality of the analysis and the results compiled by the students in only a few days. All parties, Kempten University of Applied Sciences, the professors, University of La Laguna, and all local hosts involved confirmed their interest in such event to be repeated in 2018. From Humboldt Cosmos Multiversity we’re looking forward to do it as well!